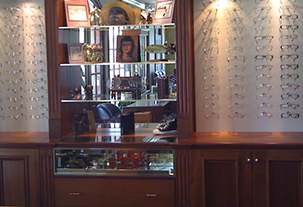 With two office locations, LeBlanc Eye Center offers a range of affordable eye care services to help our patients achieve and maintain the best vision possible. Whether you're interested in contacts, curious about a new pair of eyeglasses, or just getting your eyes checked, we have the tools and knowledge necessary to help. We work hard to provide a warm and welcoming environment for every patient. At LeBlanc Eye Center, our team is available during regular business hours to discuss any questions that you may have about your treatment. Your complete satisfaction with our services is our main objective. Our patients leave happy, knowing that they are receiving the best care from eye care professionals that truly cares about them. Dr. Cornel H. LeBlanc attended Southern College of Optometry from 1974-1977. In 1977 he participated in an internship program in Chattanooga, TN at the Orange Grove Center under Dr. David Dizak on Vision Therapy & Perception. 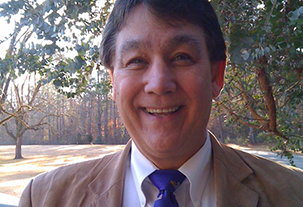 He received his licensure to practice Optometry in the state of Louisiana in 1977. 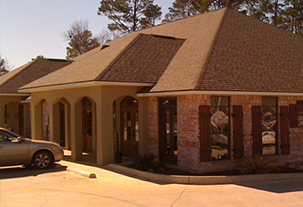 Dr LeBlanc began his practice in Alexandria, LA in the same year, and later in 1988 he opened another practice in Leesville, LA. He continues until present in both cities. Dr. LeBlanc is a member of the AOA, receiving a Certificate of Appreciation for 25 years in 1998. He was an AOA Charter Member of the Section of Contact Lens in 1982. He received certification from the National Eye Research Foundation in 1983. In 1986, Dr. LeBlanc co-worked with Rodgers Enterprises to develop a one-piece bifocal contact lens. The Optometric Recognition Award was received by Dr. LeBlanc in 1987. The NBC affiliate KALB-TV Channel 5 "In Focus" program is an eye care educational piece that Dr. LeBlanc has presented in the Central Louisiana area since 1995. In 1994, he completed his therapeutic training and received his Therapeutic License. He was a guest lecturer for the National Convention of the CLMA in September 2003. In 2004, he was on the RGPLI (Rigid Gas Perm Lens Institute Advisory Council). He was a guest lecturer for the Fall Exodus Group in 2003. He is a current member of the College of Vision Development. Dr. LeBlanc published an article in March 2004, in the International Journal: "Global Contact", entitled "Catastrophic Progressive Myopia, Solutions for fitting more GP Lens." He was a guest lecturer at the 2004 Global Orthokeratology Symposium in Toronto, Canada. Given was a presentation of research and cases studies spanning a four year period by Contex Laboratories. "Ortho-K Made Simple" was the topic of his lecture. He was a guest lecturer again in 2004 at the Exodus group in Jacksonville, Ark talking on the topic of "Dry Eye Syndrome." Dr. LeBlanc was also the recipient of the 2004 CLMA's "GP Lens Practitioner of the Year Award." From 2005-2010, Dr. LeBlanc served as the Vice President of the American Academy of Orthokeratology and Myopia Control (formerly O.A.A.). In 2005, Dr. LeBlanc received his Orthokeratology Fellowship from the O.A.A. He now serves as the Secretary of the A.A.O.M.C. Board of Directors. In spring of 2015, Dr. LeBlanc was a guest lecturer at the Southern College of Optometry in Memphis, TN for the Contact Lens Society. The lecture was on Therapeutic Contact Lens & Corneal Diseases. Also in 2014, at the Orthokeratology Convention in Houston Texas he was a guest speaker on a panel for Orthokeratology. In fall 2015, Dr. LeBlanc again was a guest lecturer at the Southern College of Optometry, speaking on "Dry Eye Syndrome" and Therapeutic Contact Lens. Meet Stephen M. LeBlanc O.D.